New York City has stepped up its vigilance in dealing with bedbugs by requiring landlords to offer disclosures to prospective tenants, revealing whether the building or the rental unit has been infested in the last year. The law, which took effect immediately upon Governor Paterson’s signature, is in response to an epidemic that is hitting every major city in North America. In fact, bedbugs were discovered recently at the Brooklyn District Attorney’s Office. Landlords are required to furnish to every applicant a written form profiling the property’s bedbug history for the past year. 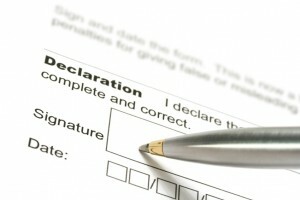 The form must be provided prior to lease signing. If a landlord refuses, the city’s housing officials are authorized to make them do it. Prior to the new law, tenants had no viable way to discover if bedbugs occupied the apartment they were about to rent. There is nothing in the new bill that addresses a tenant’s responsibility to notify the new landlord if they have experienced bedbug infestations at their previous residence. There is, however a companion bill that requires schools to notify parents if bedbugs are discovered there. In other legislation, individuals in New York who lose personal property over bedbug infestations can claim a tax credit of up to $750. See Landlord Sued Over Failure to Warn Tenant About Bedbugs.